One of the West Midlands fastest growing independent security firms is celebrating its 10th birthday in style by securing a clutch of new contracts. Integrity Security Group, which was formed by local entrepreneur and Managing Director Will Adams, has seen its dedicated approach to customer service and development of its staff pay off, with recent wins including work for Imperial Retail Park, Grand Hotel, Umberslade and Alliance Scaffolding. The Solihull-based company has seen turnover grow from just £50,000 in the first year to in excess of £3m for the last twelve months and workforce numbers have risen from seven people to over 100 employees. “It has been a real whirlwind ten years that’s for sure and the pace of growth doesn’t look like letting up just yet,” explained Will Adams. He continued: “Originally we leased a start-up unit from Solihull Metropolitan Borough Council and managed to get our first client, APHC Association of Plumbing and Heating Contractors, signed up quickly. Integrity Security Group provides bespoke security services and facilities management to a blue-chip client base spread across the country. Services range from manned guarding, mobile patrols, key holding and alarm response, temporary guarding and strategic consultancy on security matters. It has also invested heavily in expanding its electronic security capabilities, including complex CCTV, access control and fire and intruder alarm systems. 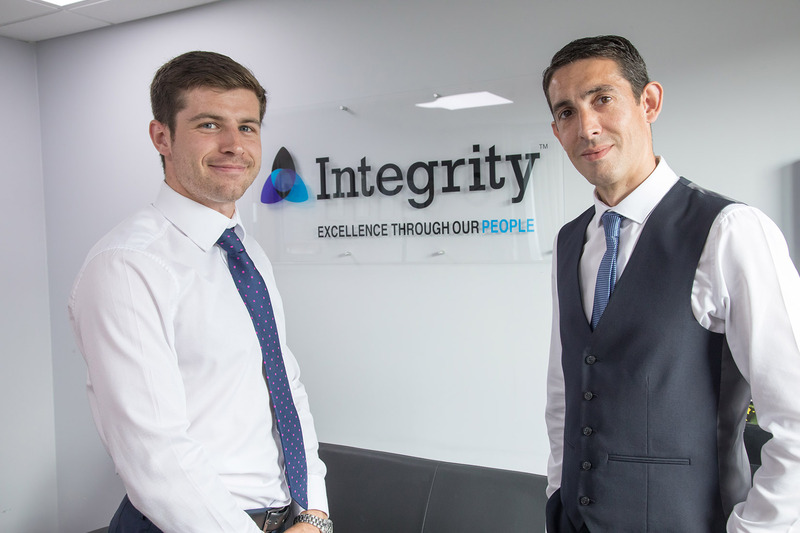 James Chittil, General Manager of Integrity Security Group, added: “Our independence is one of our biggest strengths as it means we can act quickly to changes in the marketplace and customer demand. Over the last 10 years, this has seen us acquire Roscot Security and open two additional offices in Aldridge and in Letchworth Garden City to meet a growing client base in the South East. Integrity Security Group holds a number of industry accreditations, including Safe Contractor, CHAS, Principal Member Status of the British Security Industry Association and SIA Approved Contractor Status. In addition, the company is also ISO:9001 and ISO:14001 accredited, with an impressive track record of zero major or minor non-conformances for the past eight years. For further information, please visit www.integrity-uk.com or contact 0845 643 5751.